It is that time of year again! 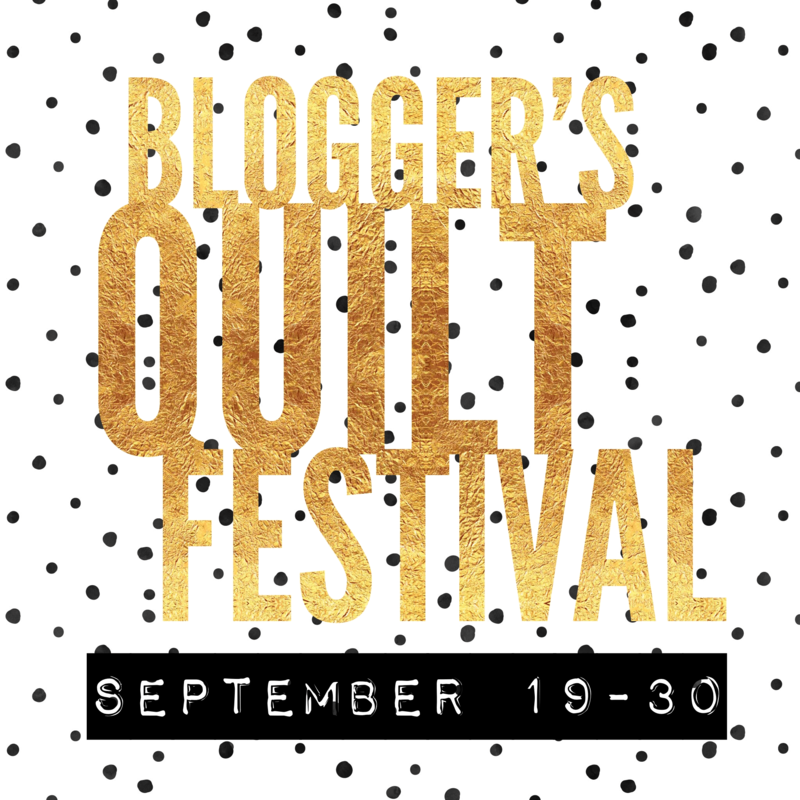 Amy over at Amy’s Creative Side is once again hosting the Blogger’s Quilt Festival. 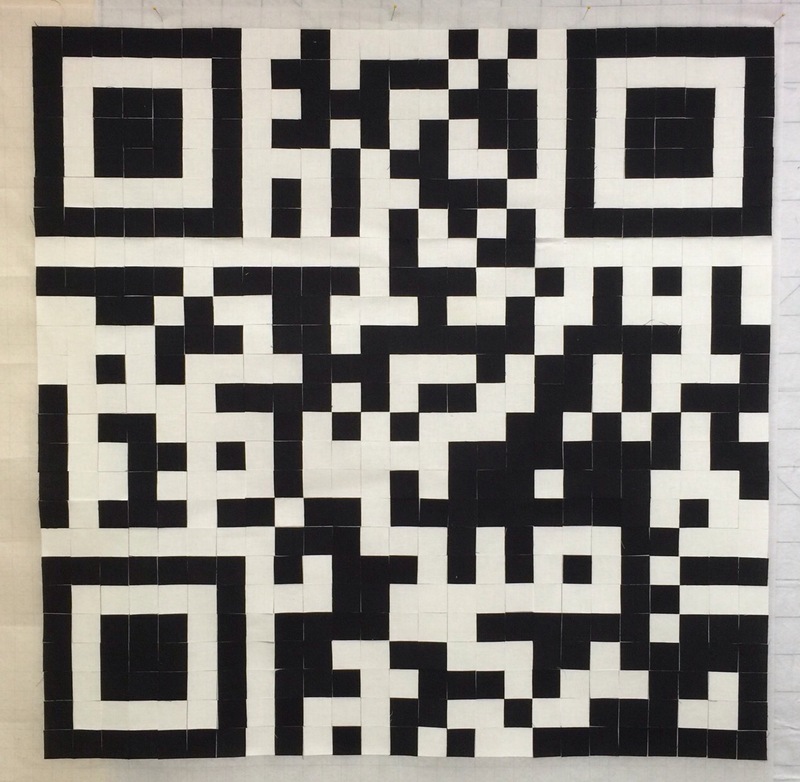 I’ve decided to enter my QR Code quilt into the Original Design Category this time. My road map! 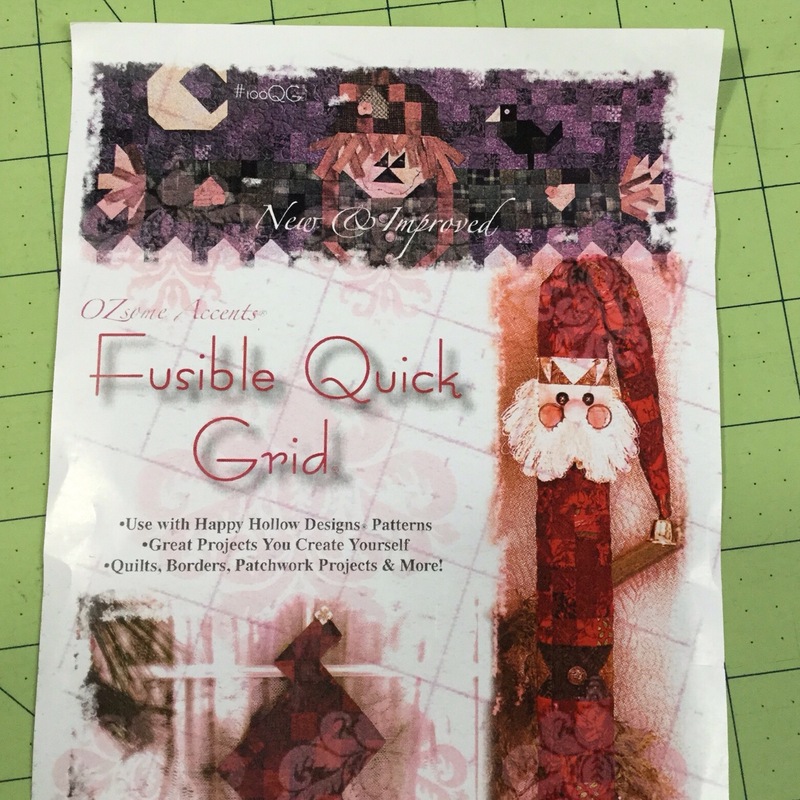 I used this Fusible Quick Grid product. You cut all of the squares you need, place them in position on the fusible grid and fuse them in place. It was a good move. It was like a jigsaw puzzle to put all the pieces in place and that was quite fun! This shows all the squares fused in place. And with the rows in one direction sewn, you can really see how the size changes. Next came borders and quilting. I wasn’t sure how the quilting would go with the layer of fusible in this, but it worked out just fine. I quilted this in a simple free hand grid. No rulers. I just eyeballed the middle of each one inch square. When I got all the lines done in one direction, I took it off the long arm frame and rotated it 90 degrees and reloaded it. I love this backing fabric from Ikea! You can see the quilting better here. It is far from exact, but it works for me. And there you have it. A long story indeed for a small quilt! Best of all, it works! 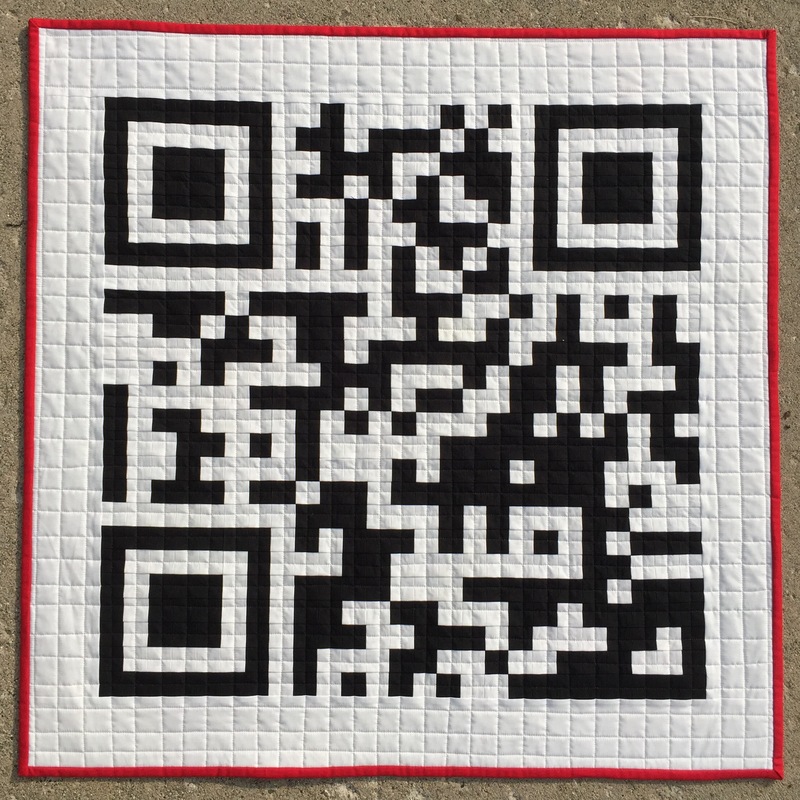 If you have a QR Code scanner app on your phone or mobile device and scan this quilt (even the picture of it), it will bring you to my blog! How cool is that? It makes this nerdy little heart happy🙂. 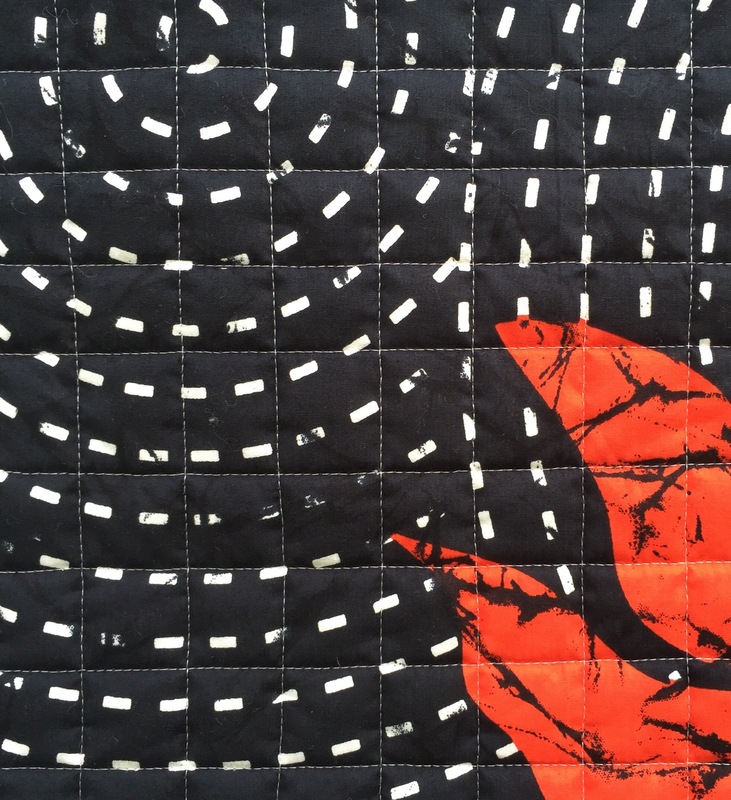 Head on over to Amy’s Creative Side to see more of the Blogger’s Quilt Festival! You may even win some prizes. This is fantastic! I adore that backing fabric! 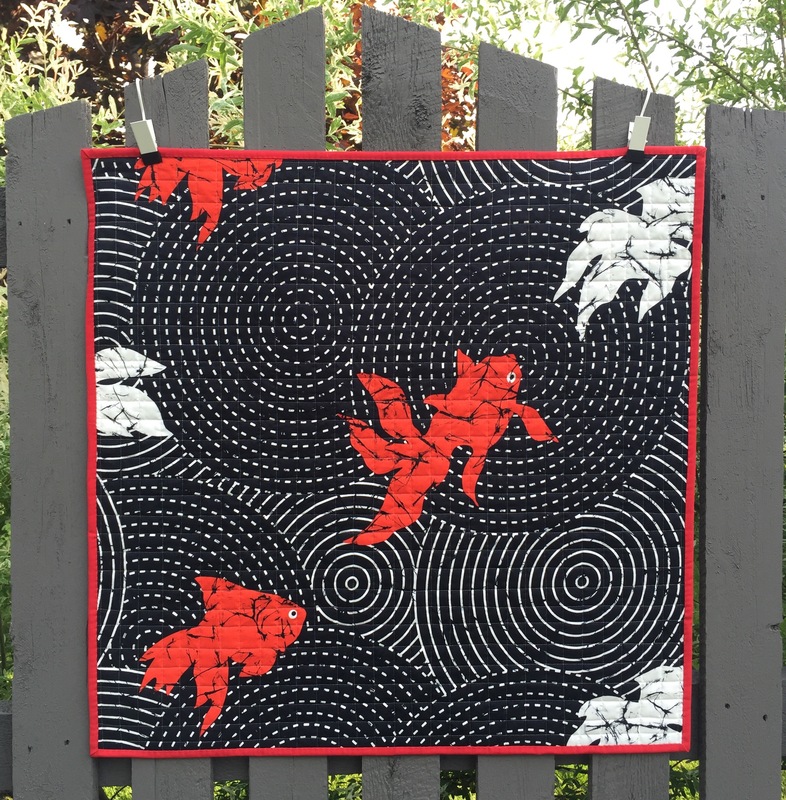 This is by far the best original quilt design! I love it. Great job! 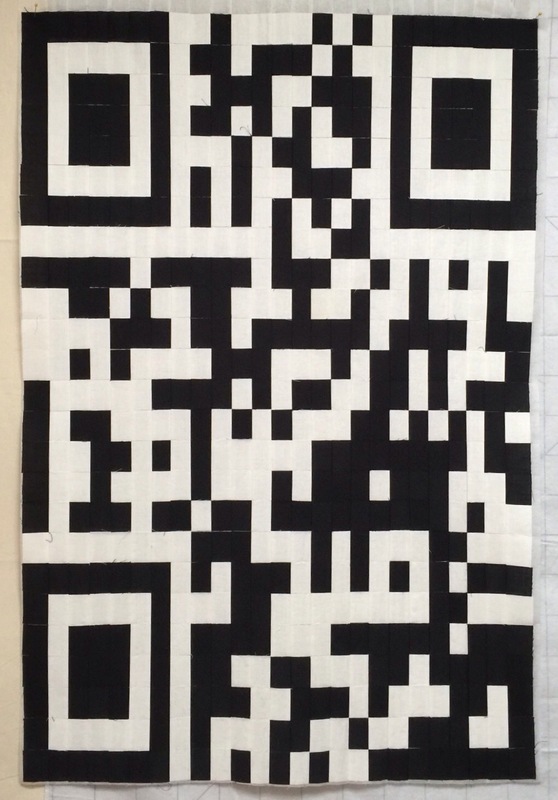 I have a QR Code quilt designed for my blog too, but I haven’t made it yet. You’ve inspired me to get my design out & make it! 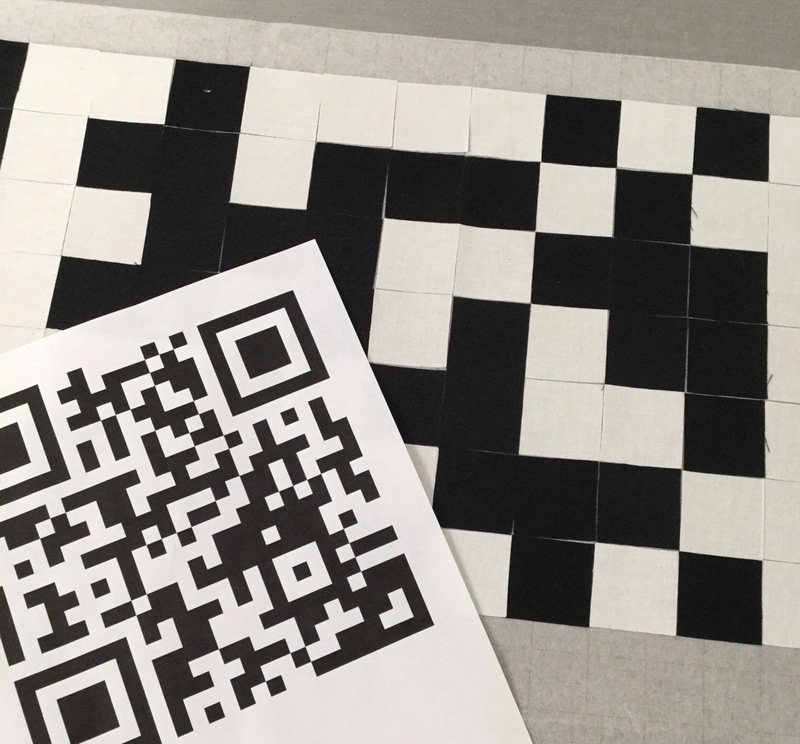 I absolutely LOVE the idea of a QR layout! I once used fusible grid to make a small floral wall hanging and found the process to be fun but tedious when it came to cutting the intersections on the back. This response is several days later because I lost my ability to post to WordPress when I cleared my history the night before. Boy! I’ll think twice before doing THAT again. Love this little quilt, Katy! Big impact from a small project!! That is awesome!! 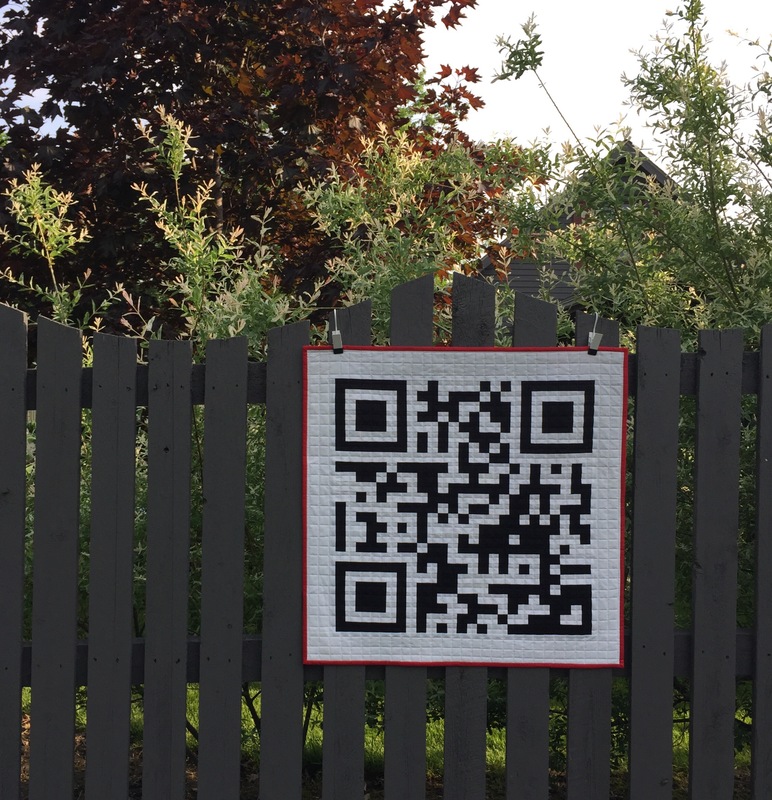 A quilt code! Clever and striking to boot! Oh I love it!!! The drama of the fabrics is amazing!! That quilt is so darling! It’s the cutest geometric one I’ve seen, and the backing fabric is perfect. Red, white and black is my favorite! Where did you get the hanger-top clips to display it? Wonderful–and I love the back. SO clever of you, Katy! I love it–and the fact that it actually works is amazing!! I remember this wonderful and clever quilt ! Fingers crossed for you dear Katy ! Such a wonderful quilt. I love it!! Wow! 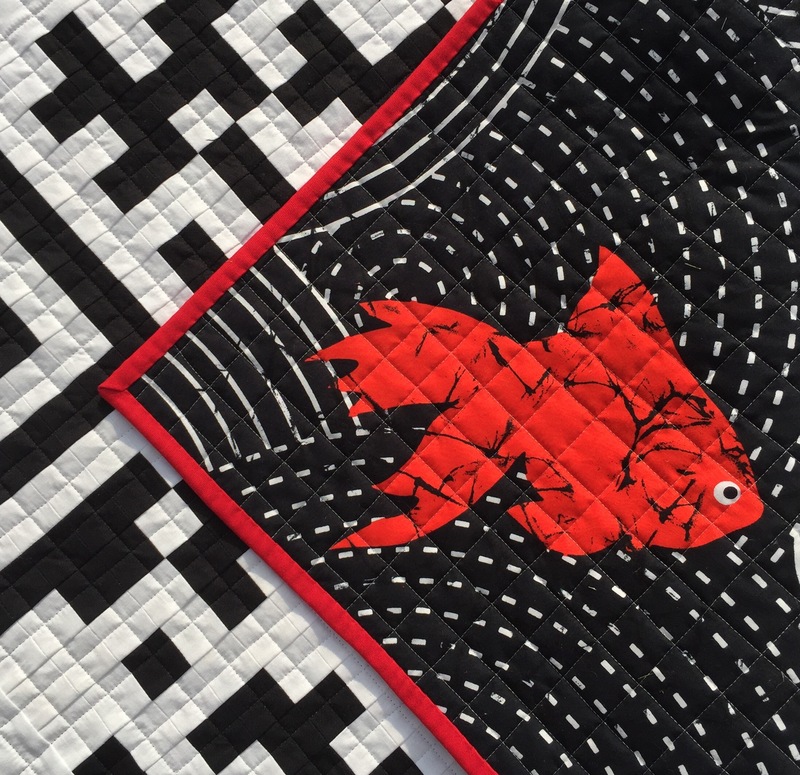 I love everything about this – both the quilt and the post! What a clever and unique design idea, first of all. And that it actually is a working code! Brilliant!!! You really need to market this! Yep, it does work. Before I even got to the end where you said where it takes you, I scanned it and it went straight to your blog. What a great idea and turned out fantastic!! What fun! You’ve taken something under my radar and made it exciting. Thanks for sharing. I need some of that fusible grid paper! I’m so happy to see this one again! Nerdy? 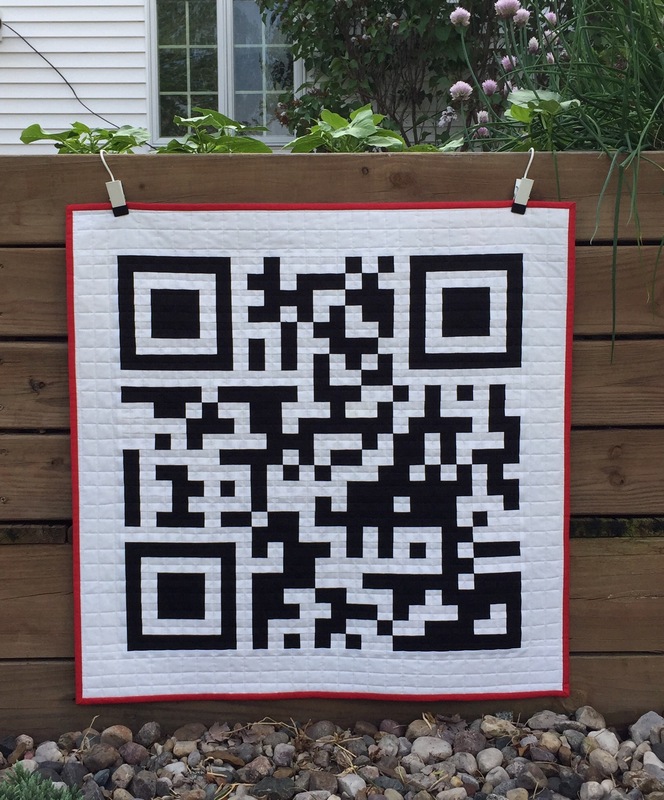 Maybe, but how cool is the quilt and the fact that you can scan it?!! So clever! Very clever and such an original idea! Good luck!! That is so clever! It’s great that it is an actual QR code, and it goes to your blog. You’ve got my vote! I love it!